There is no one thought, technique or methodology that will get the kind of business improvement you are looking for, but there are certain business improvement techniques that when harnessed together and implemented correctly, will ensure business success. In researching this article, I analysed 20 companies that have successfully implemented business improvement techniques and came away with 10 actions they all took to create success from start to finish - to see an in-depth case study involving the problems and improvement successes of 8 of these companies, . These 10 techniques are in order and there's a reason for that. These are improvement steps - they do not live in isolation. If you want an improvement project to work then you will need to harness each of these actions in different stages of an overall plan - a plan that can work if you put in the time, effort and follow the 10 steps below. To assist you in quantifying the benefit of process improvement, I would suggest also downloading the which wil show you how you can analyse your organisation and quantify the potential benefits of process improvement with business process modelling. One of the common factors in successful business improvement techniques has been a specific 'task force' created to enforce the business improvement project. Setting up regular meetings and integrating the right team members will ensure that your team will engage those required to bring about improvement. Regardless of whether you are a small or large organisation, setting this up can have huge benefits when the key stakeholders are kinvolved in the change initiative. Consider whether you have the time/resources to really make your implementation successful - if you don't then you shouldn't begin in the first place. In 2010, while creating their action plan, Skanska UK discovered three changes that would revolutionise the way they ran their business. Sector – processes to meet specific requirements e.g. gas, highways etc. 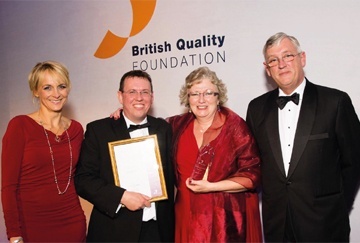 This gave them the structure and the vision to know what had to be done and what they needed to achieve real change, which resulted in Skanska UK winning a British Quality Foundation UK Excellence Award in 2013. If I were to boil down every improvement action into one over-riding and consistent 'golden rule' for business improvement it would be about creating a culture around any improvement initiative. Your success is dependent on gaining buy-in from the management, key stakeholders (and ultimately the wider organisation). This won't be possible unless scale, cost, time frame, means of integration and implementation, etc. are agreed and backed up by management and worked on and improved by your stakeholders. Change can be good and it can be very, very bad. Which one you get will be dependent on having that all important management green light and stakeholders who have had input from the projects inception. This harks back to point 2 about 'implementing a successful action plan'. You need the right management system that is able to solve your unique problem. You need it to be user friendly and flexible so that cultural change will not be so difficult. You need it to be accessible by all members of staff who actually need it. You need a single, standardized source of process control that provides uniformity, clarity and consistency at all times. 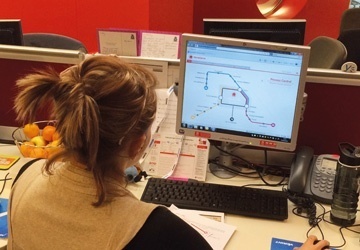 The team at Homeserve needed a Business Process Management Solution which would support them to easily map their customers' journey and enable all staff to see and best understand the end-to-end process. The team's core requirement was a central source of information that all staff could easily access, to view the entire customer journey and find the information - processes, policies, scripts and forms - that they need to do their job. The aim was and still is, to ensure that all customers receive the same level of effortless experience, regardless of whoever they spoke to. With Triaster they found a management system that would enable them to upload new scripts for colleagues, provide easy navigation, colours and illustrations to provide a better user experience and process flows that were easy to understand and supported consistent business outcomes. Over the years our customers have mentioned how important it is to create 'launch events', training days, create logos, stationary, posters (you name it) that advertise the GoLive of your business improvement project. The most successful improvement projects I surveyed documented that continually hosting 'follow-up events' every 3-6 months will make sure that your employees know that the new initiative is here to stay so they better get up to speed. 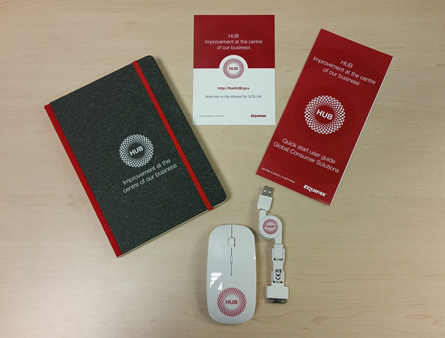 When Equifax launched their Process Library, they created a name 'HUB', printed materials and used branded giveaways to get their message across to coincide with the launch of HUB. You might have time to learn a complex improvement methodology if you are part of the operational excellence group but the more people who are involved with the change, the more people you will have to communicate change to. People are all different. They come with their own unique backgrounds, differing technical knowledge and different prejudices. It is necessary to use an improvement methodology that can be mostly communicated without too much trouble or jargon (their pickup must be as effortless as your put down). Take a look at our Noun-verb process mapping methodology for a better understanding of what a simple process mapping methodology looks like. If you are implementing a process improvement initiative, for instance, where best practices are being established and followed then you will need to capture that process in its entirety. In order to make any meaningful change, you will need to know what the process looks like currently. Then you will be able to identify if there are any major process breakdowns and if the stakeholders have any ideas on where the process can be improved. That leads to subsequently creating a consistent 'best practice' for all future employees who carry out that task. Creating process maps has always been at the front line of successful improvement initiatives but standardising their use and getting buy-in within the organisation has always been the trench standing in the way of the open pastures of operational excellence. In 2012, Lockheed Martin UK Ampthill had their processes and controls in text-based documents. There were a great many documents spread across various Networks, some of which were in the United States (USA) and some of which were specific to the Ampthill site in the UK. Your company's ability to improve continuously relies on your employees' abilities (both individually and corporately) to get on board with the new program and consistently implement any best practice agreed upon programme. 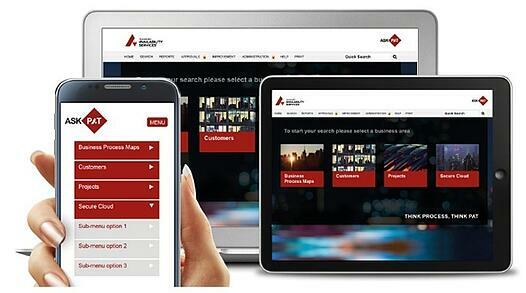 When Sungard Availability Services created their Process Library 'ASK PAT' they had the aim of reducing errors, risks and supporting the provision of a standardised practice from within the organisation to deliver a more consistent standard of service for Sungard’s customers. Having a single target operating model has also opened the doors for Sungard AS to a single ISO20000 Certification across the USA, India and the UK. Because of their standardised system within an easily accessible Process Library (ASK PAT), Service Management continually benefit from a clear definition of the process to provide new hardware and staff expectations can be set according to the performance expectations on the service. Having all the processes, policies and work instructions in ASK PAT now allows Sungard AS to specify requirements and standards for consistent use across the business - with the agreement of stakeholders. Your management system must be a single source of accessible information. Some of the most successful businesses we have worked with have chosen to open their management system up to customers or even create cross-functional, cross-organisational management systems that can allow communication not just within the organisation, but to flow back in from without as well. Interserve's problem was process accessibility. Interserve needed their team to have access to a single management system that was Standardised with best practice tools, templates and processes that simplify and improve the way in which Interserve mobilise their contracts. Interserve’s Defence Team also shares their Process Library with their customer: the Ministry of Defence. 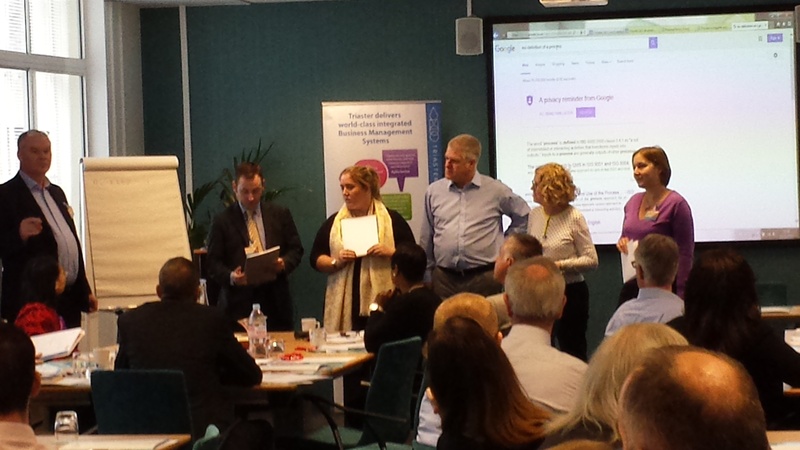 The MOD were able to view their supplier’s processes and also shared their own with Interserve. Processes are now not only cross-functional but also cross-organisational. The end of any Business Improvement initiative should always involve continual improvement. It means that you have come full circle, you have implemented change, measured it and once again are implementing a different variation (a process tweak) to try and harness the benefits of continual improvement in your organisation. Out of 20 businesses, these are the 10 most important business improvement techniques that they suggested were key to improving business and creating a successful culture along the way.